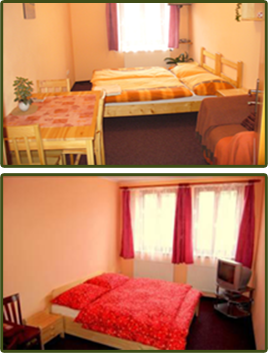 OUR COZY PENSION IS AN IDEAL PLACE. to spend a family summer holiday with a lot of sightseeing-trip possibilities. 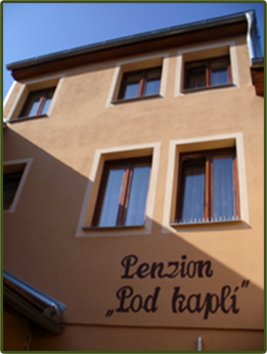 Our cozy pension is an ideal place to spend a family summer holiday with a lot of sightseeing-trip possibilities : Jihlava 10km (zoo, aquapark, citypark, catacombs), Telč 15km (UNESCO),Třebíč 15km (UNESCO – jewish town) The capacity of the pension is 22 beds in 10 rooms with toilet ,shower and TV-sat. Three beds apartment is fitted with extra kitchen nook. In first floor is full fitted kitchen available for all guests. DO NOT HESISTATE TO CONTACT US!